There internet as a fundamental tool in the development of humankind has experienced constant growth since its creation. This growth has been in phases and currently, the world is in the phase of the Internet of Value (IoV), which is significantly powered by the blockchain. The ease of value transfer is very crucial if the emerging blockchain technology must find a prominent place within the mainstream. In its current state, the blockchain industry is littered with several independent blockchains and their respective tokens. These as individual solutions are contributing positively to in their respective ways towards the development of the digital world. However, as a unit, having so much independent units in one environment portends a semblance of chaos and disharmony. To solve this problem, the blockchain ecosystem needs to find a solution to certain problems that are fundamental and cut across all the individual entities. These include the problems of interoperability, scalability and usability. These problems make it impossible for the various independent entities to interact effectively, hence they offer limited solutions. In other to find a solution to the above mentioned problems and improve the adaptability of blockchain technology to mainstream processes, FUSION is creating an inclusive cryptofinance platform that is based on blockchain. This platform will enhance a seamless interaction between blockchain platforms and their tokens. Fusion is building a value transfer infrastructure that is based on various tokens. This infrastructure can convert values across various blockchains and can fulfill almost all the functionality of traditional finance, but in a distributed and more efficient manner, with substantial cost savings. To this point, the interactive gateway for tokens and cryptocurrencies remain the crypto exchanges. This is not a closed system and at the same time could involve some cumbersome and non-seamless procedures. With Fusion’s establishment of a public blockchain as an inclusive cryptofinance platform, the existing bottlenecks of of interoperability and scalability can be overcome. 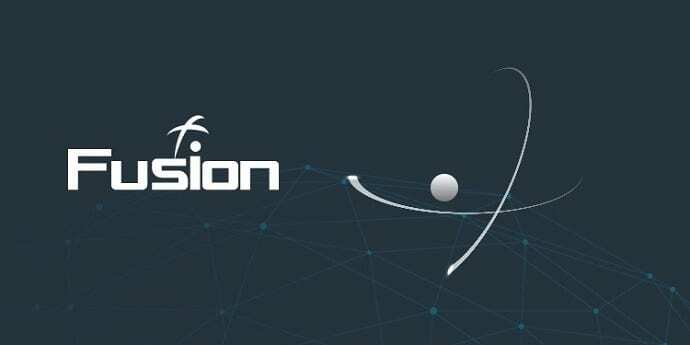 In order to achieve this, FUSION utilizes distributed network nodes to control various types of tokens’ private keys and, in this way, it connects various values by establishing a control and management layer on top of all types of blockchains. At the same time, it becomes feasible to build cross blockchain smart contracts. In order to further expand interoperability and scalability, FUSION will also provide interfaces for centralized organizations and off-chain data sources. Today, the blockchain ecosystem portrays a collection of non-synergized entities that limits the ability to harness properly the inherent potentials within the industry. This outlook does not encourage the much needed massive adoption of the emerging technology. But with Fusion’s innovative system, the enablement to seamlessly transact with any token under a user’s possession without going through extra processes will definitely enhance convenience and usability. The ecosystem will in this case adopt an inclusive outlook and function as a robust unit, making it easy for application in the mainstream.